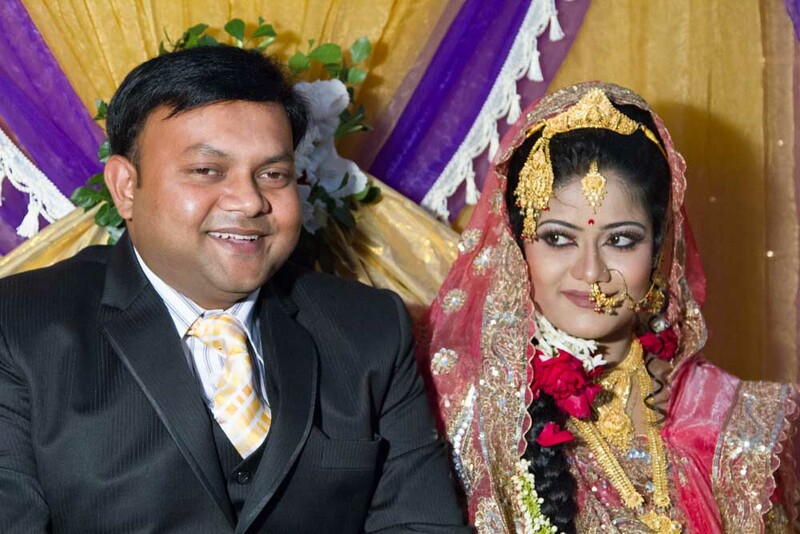 We attended this wedding on Friday evening, January 3, 2014 at the Police Convention Hall , Eskaton Garden, Ramna, Dhaka! Lamya Hasan was one of our neighbors! Great food! Of course, I had a glass of borhani, one of my favorite Bengali drinks! IN TYPICAL WEDDING ATTIRE FOR THE BRIDE! Dressed in her finest for this special occasion! POSITIONED FOR THE PHOTOS BUT INTERRUPTED BY THE NIECE. I ACTUALLY CAUGHT THEM BOTH WITH EITHER A SMILE OR A SMALL GRIN. 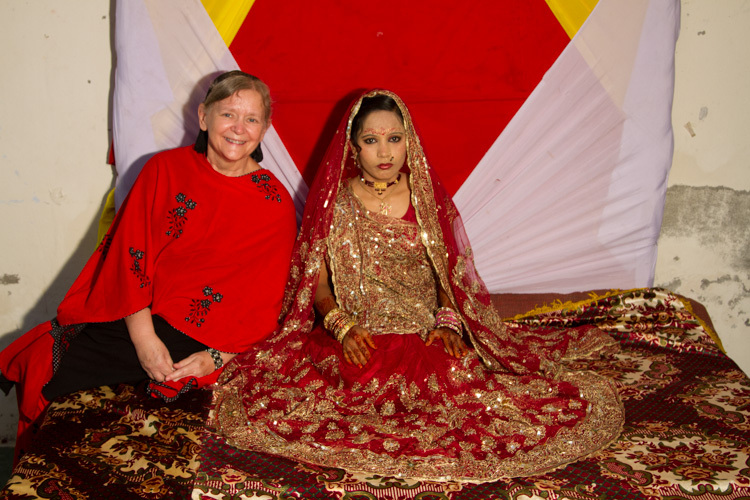 IT’S HARD TO CATCH THE BENGALI BRIDE AND GROOM WITH A SMILE! 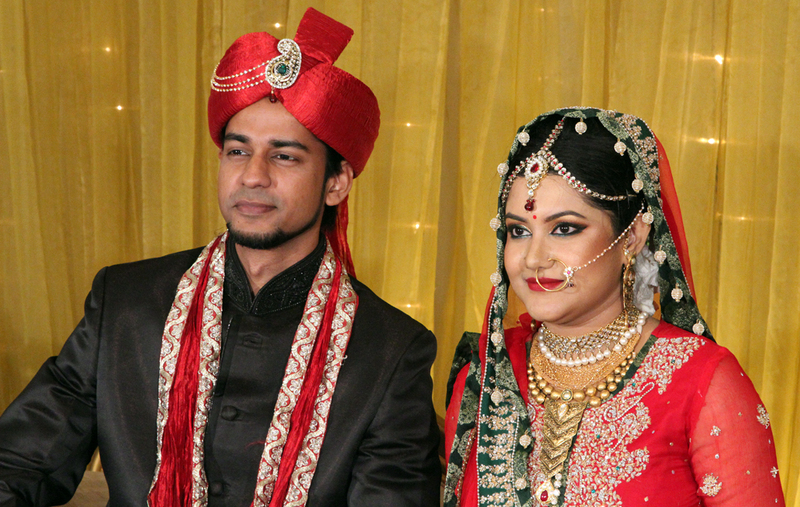 The bride and groom dressed up in tradition Bengali wedding clothes! This is what typically happens at a Bengali wedding. People come to eat a nice meal and sit to have photos taken with the bride or groom. 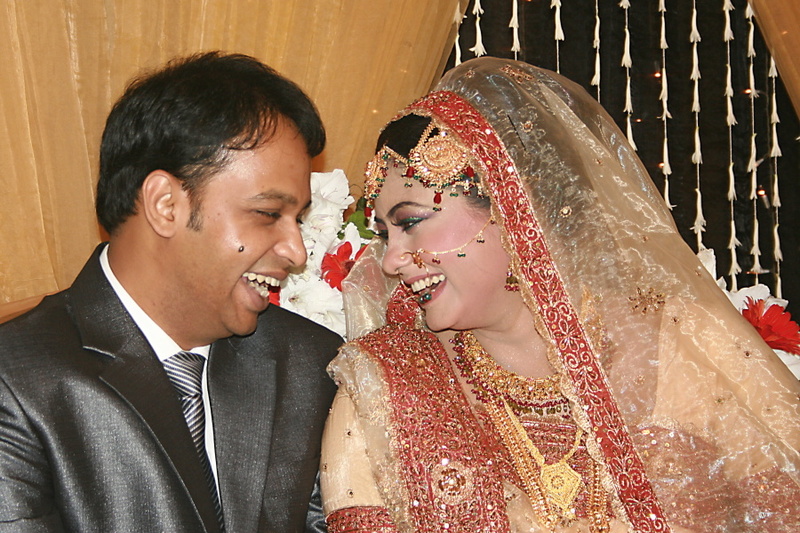 This was a Bihari girl marrying a Bengali guy. Sorry, for no cropping or editing of photos recently. I am just recovering from a hard drive crash and am trying to catch up on my one photo a day goal. Dressed up for the occasion! These girls wanted to make sure I took a photo of them, though one was was distracted during the click of the shutter. FATHER AND DAUGHTER, GUESTS AT KAMAL AND PRETTY’S WEDDING RECEPTION! Wedding Guests See Something Interesting! A Not So Serious Moment! 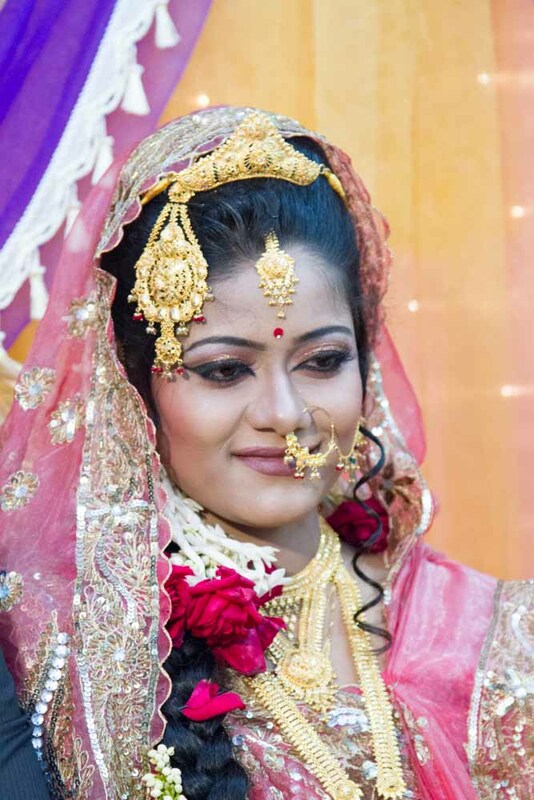 Hasina B. Halim Pretty all decked out in the finest Bengali wedding attire! 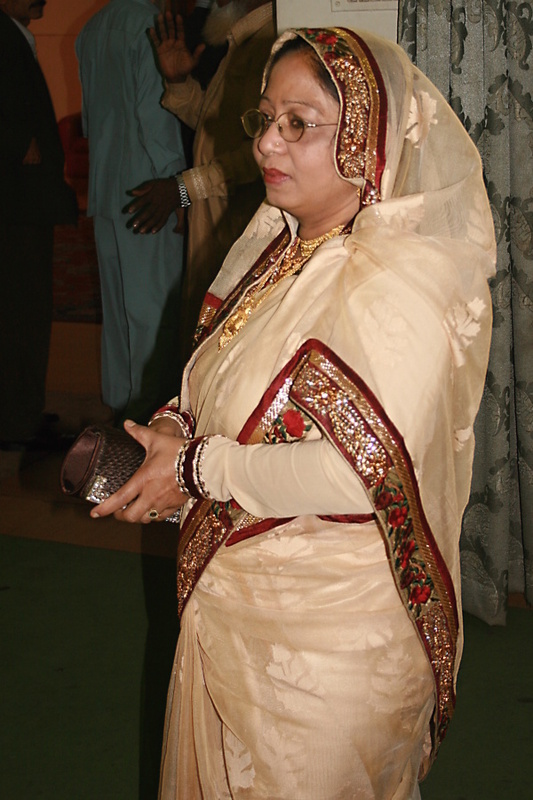 SADIA RAHMAN, ANOTHER TTLER, DRESSED UP FOR KAMAL AND PRETTY’S WEDDING RECEPTION. 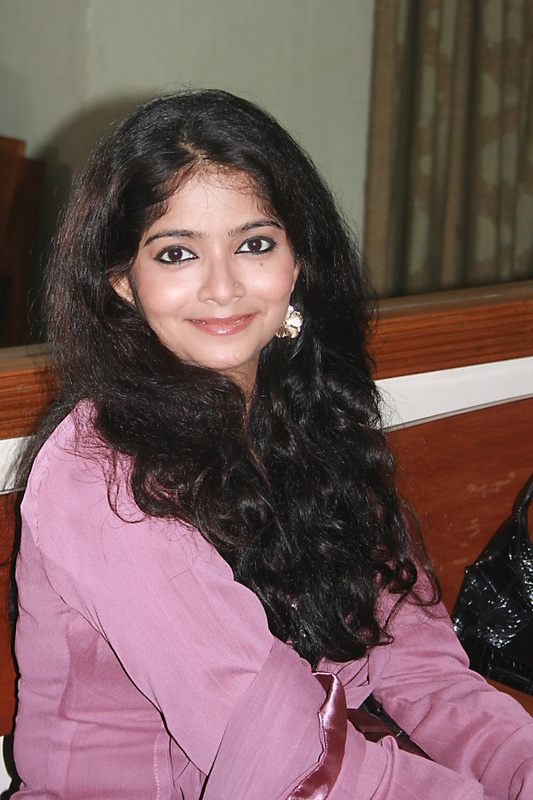 Sadia, a photographer doesn't mind posing for another photo. 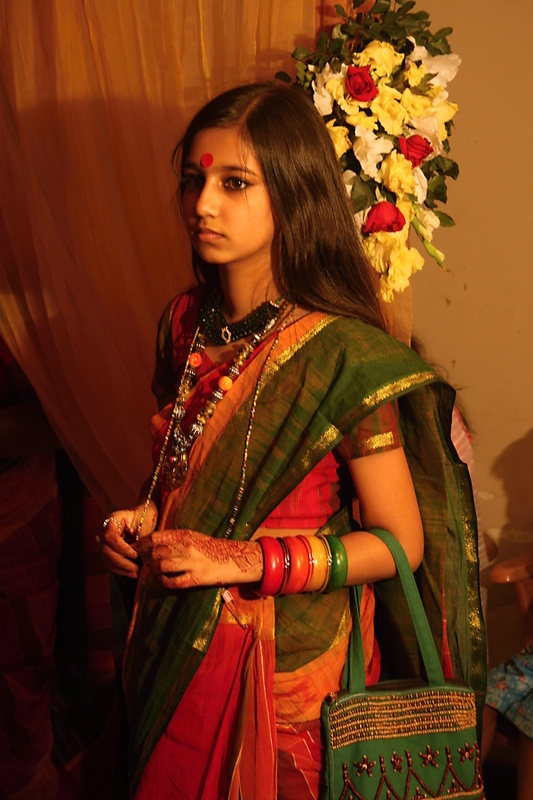 YOUNG BENGALI GIRL AT KAMAL PASHA AND HASINA B. HALIM PRETTY’S WEDDING RECEPTION. In her finest for the wedding reception.